Slovakia has until the end of the year to submit a report regarding the implementation of anti-corruption measures, the Council of Europe's Group of States Against Corruption (GRECO) said on Tuesday. It comes as the country is in the midst of a presidential election that saw Zuzana Caputova, an anti-corruption activist, win the first round of voting as Slovaks turned against the ruling Smer party following the murder of an investigative journalist more than a year ago. She will go up against Maroš Šefčovič in the final round of voting on Saturday, March 30. GRECO issued 16 recommendations to Slovakia to prevent corruption in respect of MPs, judges, and prosecutors back in 2013. Its latest report, published on Tuesday, found it had satisfactorily implemented only seven of them. 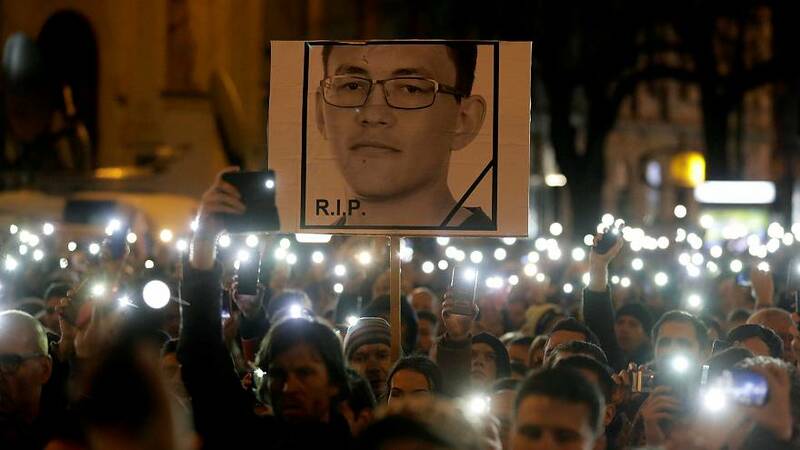 READ: Jan Kuciak murder: how has journalist's slaying changed Slovakia? Three recommendations have not been implemented at all, GRECO flagged. These include measures to improve transparency of the legislative process by introducing appropriate standards for members of parliament when dealing with lobbyists and third parties as well as the adoption of an enforceable mechanism to declare conflicts of interest and acceptance of gifts. Another six recommendations have been deemed only partially implemented. They pertain to MPs, judges and prosecutors' financial disclosure. GRECO welcomed, for instance, a new law introducing an obligation for MPs to report gifts but said that the threshold set "is still a subject of concern". MPs only have to declare gifts and benefits if their value exceeds ten times the minimum wage — so about €5,200. GRECO made note of the progress made "encourages the country to pursue these efforts" but invited the country to "provide a report regarding the action taken to implement the pending recommendations by 31 December 2019". Gianluca Esposito, executive secretary of GRECO, said: “Addressing corruption remains key for Slovakia. GRECO issued 16 recommendations to Slovakia to do just that. "So far, however, only seven of them have been implemented. Particularly concerning is the fact that a code of ethics addressing conflicts of interest and the acceptance of gifts and other benefits by MPs remains to be finalised. "Likewise, GRECO regretted that political consensus has still not been reached on regulating MPs’ relations with third parties, including lobbyists. Slovakia ranked 57th in Transparency International's latest Corruption Perceptions Index with a score of 50 out of 100 — its worst since 2013. Gabriel Sipos, director for Transparency International in Slovakia, said in a statement that "only 47 people were prosecuted for corruption offences in 2018, which is the lowest figure since 2009 and half of the annual average of those charged between 2010 and 2014." He also noted that although the February 2018 killing of Jan Kuciak and his partner led to some "positive changes" including the resignation and sentencing of some politicians and businesspeople, it also "underscored the state's weakness in the fight against corruption." Kuciak, 27, had been reporting on corruption, tax fraud and links between high-ranking Slovak politicians and the Italian mafia. His murder triggered a wave of protest which brought down the government led by the Smer party.